Description: Glue Dots are a double-sided, pressure-sensitive adhesive that is perfect for bonding tiny items like rhinestones, ribbons, sequins and wiggle eyes. Works on paper, foam, plastic, metal, wood, glass and more. Great for hobbies, home, school, and office projects. Bonds instantly, child safe, and no dispenser required. Acid-Free. Lignin-Free. Non-Toxic. 3/16 inch. Clear. 300 pc. See more Glue Dots Adhesives. 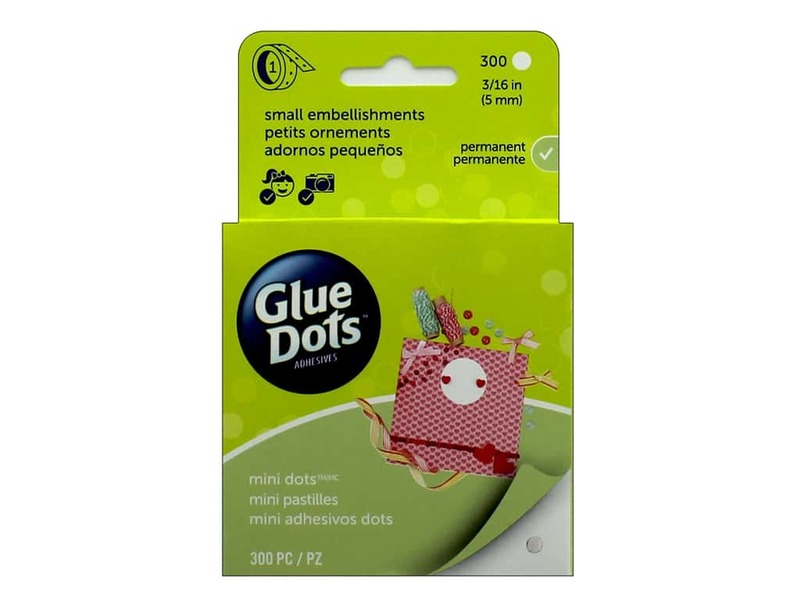 Glue Dots Mini 3/16" Box Clear 300pc 5.00 out of 5 based on 20 ratings. 20 user reviews.